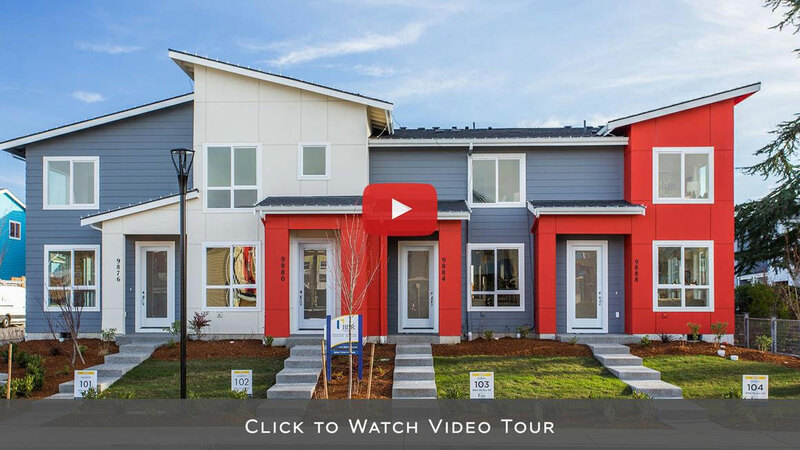 Seattle’s Best Kept Housing Secret – Brio Townhomes in Southwest Seattle! The newly completed Brio townhomes are situated in the very best location in the charming Greenbridge masterplanned community in Southwest Seattle, with each townhome nestled in a park-like greenbelt setting, adjacent to schools, parks, and community trails. The 2-story townhomes feature private fenced-in backyards and unique signature covered outdoor rooms complete with heaters for year-round living. The Brio townhomes feature spacious open-concept 2 & 3 bedroom layouts complete with BDR luxury features throughout. Discover attainable new construction luxury at Greenbridge, a charming and inviting masterplanned community located just 12 minutes from downtown Seattle and Sea-Tac airport. Come discover Seattle’s Best Kept Housing Secret! BDR Urban specializes in building apartment, condominium, townhome and single-family home communities in Seattle near transit hubs and employment centers. BDR Urban is a wholly owned subsidiary of BDR Holdings LLC, a diversified real estate development company specializing in innovative housing communities throughout the Puget Sound region. Fresh New Townhomes in Downtown Redmond – Fall ’19 Completion – Pre-Sale Opportunities! Grand Opening of a Fresh New Luxury Farmhouse in Enatai – Thursday Jan. 31st, 11am to 6pm. Grand Opening of a Fresh New Lake View Farmhouse on the North-End of Mercer Island – Wednesday Nov. 28th, 11am to 7pm. Vote for BDR Homes as the “Best Builder” on the Eastside! BDR Homes Wins 6 Awards at the 2018 New Home Council Tribute Awards! Grand Opening of a Fresh New Farmhouse in West Bellevue – Thursday June 7th, 11am to 7pm. BDR Homes Voted “Best Builder” by 425 Magazine! Grand Opening of a Fresh New Modern Luxury Home in Clyde Hill – Thursday April 19th, 11am to 7pm. Grand Opening of a Fresh New Timeless Luxury Home in Kirkland – Wednesday December 13th, 11am – 7pm. BDR Homes Wins Builder of the Year at the 2017 Annual Home Builder Tribute Awards! Grand Opening of New Dutch Colonial Legacy Estate in Clyde Hill – Thursday June 29th, 12pm to 8pm. BDR Homes Wins 4 Awards at the 2016 New Home Council Tribute Awards! BDR Homes Announces the Start of Construction of 4 New Modern Homes in Kirkland on Lake Washington Blvd.